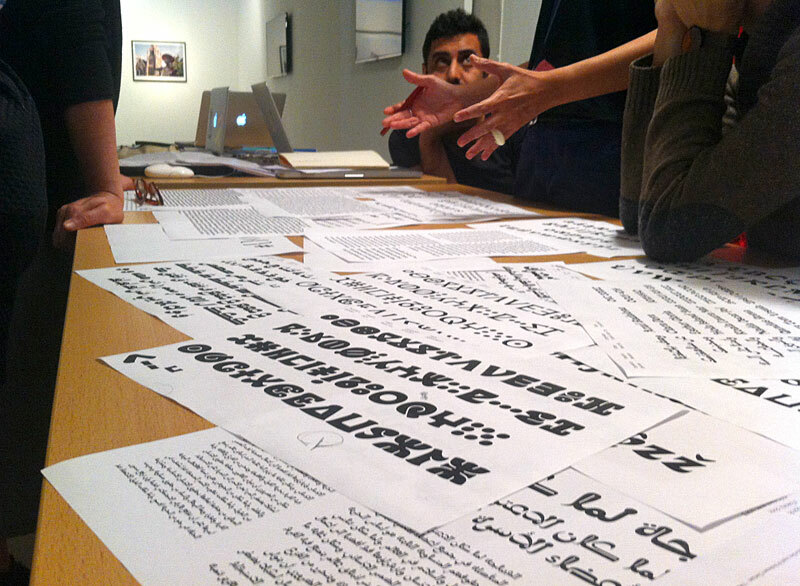 Amsterdam was our last stage in the Typographic Matchmaking in the Maghrib project. Four intense days were the final sprint that eventually resulted in the presentation of the whole project in the FramerFramed space on the 10th of September. It was a time for fine tuning, giving and taking feedback from every member of the teams and also to exchange our ideas about our work, research and design processes. The images below show some instances of the three typefaces in use. Qandus, Tubqal and Elixir have diverse personalities and each one solves the issue of harmonizing the three scripts –Latin, Arabic and Tifinagh— in a distinctive way. I was lucky enough to be part of two teams –Tubqal and Qandus—, so I had the chance to be involved in two projects with different approaches, goals and working procedures, which made the experience a bit busy at times, but definitely much more enriching.